How Can You Reduce Particle Pollution? Air quality is an increasingly important concern for millions of households. While many people focus on well-known gaseous pollutants, such as volatile organic compounds, or VOCs, and carbon dioxide, impactful environmental protection goes even further. Indoor air quality, or IAQ, standards and guidelines include special rules geared specifically towards particulate matter, and health-conscious homeowners should pay attention. Here's why. Particulate-based pollution consists of particles of various materials suspended in some environment. For instance, it's a big problem in the ocean, where microplastics and other human waste artifacts float around for decades without decomposing. 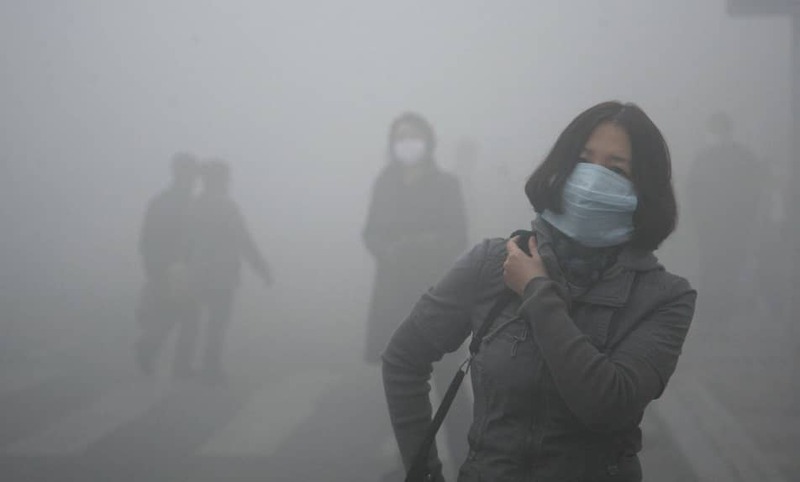 PM10, or particulate material with a diameter of 10 μm or less, is small enough to reach the deepest tissues of the lungs, which can induce problems for asthmatics. PM10 particles come from construction dust, roads and industrial sources. PM2.5, often referred to as fine matter, can penetrate into the alveoli, the cavities inside the lungs where gas exchange occurs. From there, some of these pollutants enter the bloodstream (2). These particles are commonly found in smoke, fog and haze. PM1 particles with diameters of less than 1 μm are extremely hazardous. These ultrafine particles can include fine soot, aerosolized liquids and other micro- and nano-sized pieces of material that migrate through cell membranes and directly impact the central nervous system. When they're released from sources like diesel motors, they may also carry other carcinogens and dangerous hydrocarbons with them. One of the simplest ways to improve an interior's health qualities and limit particle pollution is to get a smart indoor air quality monitor. Measuring PM contaminants, volatile compounds, carbon monoxide, nitrogen oxides and other pollution markers can clarify which risks specific spaces expose their occupants to on a daily basis. Opening windows, installing better filtration and having ventilation systems serviced can all reduce the concentration of existing particle pollutants. Restricting the use of computers, printers and other office equipment to areas with improved ventilation may help fight these devices' tendency to emit harmful ultrafine particles. Remediating spaces that contain asbestos, degraded plywood and other friable building materials may stop these substances from releasing matter into the air supply. Using appropriate ventilation in association with wood-burning heating sources can lessen their adverse impacts. Making construction improvements to limit the amount of outdoor air that gets inside may reduce the risks of living close to transit networks, urban areas and industrial facilities. Giving up smoking is an essential health benefit not only for PM pollution sufferers but also those worried about VOCs and other carcinogens. Installing air purification systems also helps. High-efficiency particulate arresting, or HEPA, air filters are designed to eliminate no less than 99.97 percent of particles in the 0.3 micrometer-diameter-and-above range. Although HEPA filters don't combat gases, such as nitrogen dioxide and VOCs, they may be combined with activated carbon filters for comprehensive protection. Other large particle elimination options, like ionizing air filters, may also be effective. Particulate matter is a serious problem, with researchers linking it to heightened risks (3) of premature death and 5 percent of all lung cancer fatalities (4). Although it's not the only culprit in bad air, PM is worth reducing. Investigate what semivolatile organic compounds are and understand their environmental health impacts. Find out how carbon, nitrogen and other elements fit into the World Health Organization guidelines for indoor air quality.